Do you live in an old home? Wish you knew more about who built it? 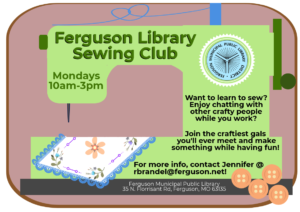 Join us and the Ferguson Landmarks Commission for a lecture full of tips and tricks on how to research your house, presented by Dorris Keeven-Franke! Dorris Keeven-Franke is Executive Director of the Missouri Germans Consortium, Archivist for Bellefontaine Cemetery and Arboretum in St. Louis, and Curator for a new St. Charles County Veterans Museum opening this spring. She teaches Genealogy for the City of St. Charles Adult Education, is President of the Board for the German American Committee of St. Louis and serves on O’Fallon Missouri’s Historic Preservation Commission. She also provides public programs at the Missouri History Museum, the St. Louis Community College, the St. Charles Community College and other regional historical organizations.